A conspiracy charge is one of the broadest types of charges in criminal law, which makes it easy for prosecutors to tack it on to other types of charges. It can also be charged independently, because it is a crime in itself, but more often it’s combined with other charges. The most common type of conspiracy charges in Arizona is drug conspiracies. Conspiracy, in short, is the mutual agreement of two or more individuals to commit a crime. In some cases, like those involving conspiracies to commit a crime against victim, an agreement is all that’s required. In most cases, however, one of the members of the conspiracy must also take some affirmative step in furtherance of the crime for the conspiracy to be complete. In other words, the crime underlying the conspiracy (sometimes referred to as the object of the conspiracy) does not actually need to occur for a conspiracy to be charged. As a result, it can sometimes be easier for a prosecutor to obtain a conviction on a charge of conspiracy to commit a crime than on the crime itself. He or she need only show an agreement along with some act that was a step towards actually committing the crime. In a conspiracy to sell drugs, for example, it would be enough to show that two people agreed to sell drugs and then one of them made a telephone call to a potential buyer. Conspiracy is typically charged when there are multiple co-defendants, but it is not uncommon for a conspiracy to be charged even where there is only one defendant. The person with whom that person conspired doesn’t need to actually be present or be charged. Often people who played some small role in a larger conspiracy are charged as part of the conspiracy, even when they were unaware of the full extent of the conspiracy and didn’t know most of the other people involved. One of the reasons prosecutors charge people who are only peripherally involved in a conspiracy is that it is a good way to get information. A conspiracy charge can have serious consequences, so it puts pressure on co-defendants to testify against each other. In theory, the prosecutor can gather evidence from less involved defendants to build a stronger case against higher-level defendants. This strategy doesn’t always work out the way it should because the higher-level defendants are often the only ones who know enough to give the prosecutor significant information about the conspiracy. Unfortunately, this can result in people with little involvement being treated unfairly. Under A.R.S. § 13-1003, conspiracy in Arizona is usually considered an offense of the same class as the most serious offense that is the object of the conspiracy. In other words, if you conspire to commit an offense that is a class 2 felony (like the sale of a narcotic drug), the conspiracy charge is also a class 2 felony. One big difference, however, is that the mandatory sentencing laws that may apply upon conviction for the underlying crime do not necessarily apply to a conspiracy conviction. Possessing over 9 grams of methamphetamine, for example, is a crime that requires a prison sentence of 5 to 15 years. A conviction for conspiracy to possess over 9 grams of methamphetamine, on the other hand, is a probation available offense assuming no prior convictions. 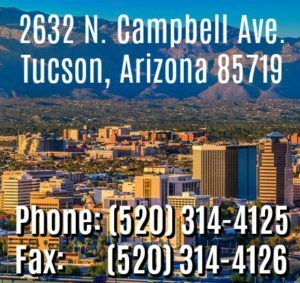 If you, or someone you know is facing conspiracy charges in Arizona, we can help. Call for a free, confidential case assessment at 520.314.4125 or contact us online. Request a Confidential Case Evaluation Today!